Oriental rugs can be a gorgeous centrepiece of a reception room. 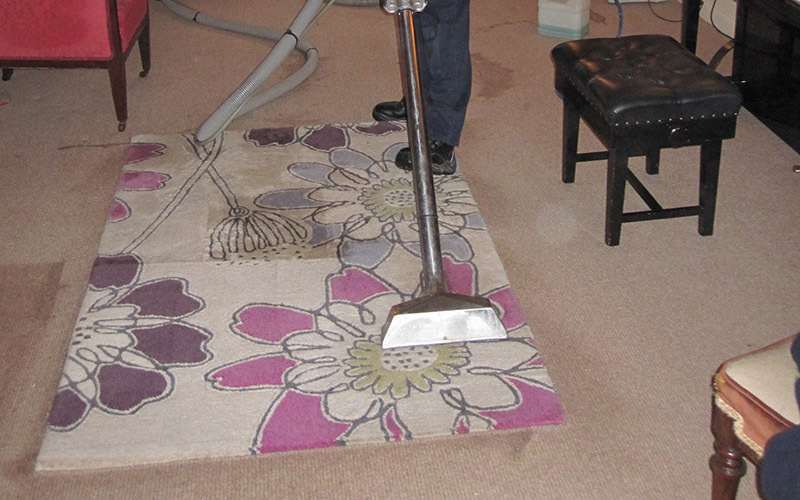 Let us restore their original vibrancy with our special rug cleaning service. Rugs are assessed for the risk of dye-bleed, and cleaned either in-situ or in our workshop as the customer prefers. Cotton fringes can be bleached to improve whiteness. Our rinsing process using a gentle conditioner in plenty of hot water ensures that rugs not only look their best but also feel soft to the touch. Silks and some especially delicate rugs may be safely dry cleaned. No need to take down and re-hang. No loss of privacy. Suitable for all fabrics including cotton, velvet and silk.